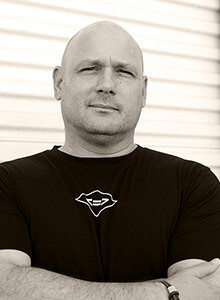 Aaron Arp is a trusted security professional and leader with over twenty years of diverse experience. Aaron’s background includes a combination of active duty military, high net-worth family security, and corporate/executive protection management. Aaron began his professional career in the U.S. Army Military Police Corp serving in Washington, D.C. and Europe. During this time, Aaron had a wide range of responsibilities and duty stations ranging from garrison at Arlington National Cemetery and community law enforcement in Germany, to deploying in support of the 1st Armor Division’s mission to implement the Dayton Peace Accord in Bosnia-Herzegovina. After leaving the military, Aaron began working as an Executive Protection Specialist for a high net-worth family in Austin, TX. In this role, Aaron became accomplished in all aspects of the industry including domestic and international security advances, threat assessment, site surveys, risk analysis, protective surveillance operations, and protective driving operations. After working over 10 years in Austin, Aaron accepted a position with a company based in Honolulu, Hawaii where he was ultimately selected as the Manager of Protective Services within two years of his tenure. As the PSM, Aaron was responsible for all security related special projects for the company and the corporate principals. His duties included providing direction for the security department as well as delivering threat assessment reports and security consulting to the principals. Aaron was tasked with management of all protective operations, which entailed daily coordination of agents and coverage as well as domestic and foreign travel security. Aaron currently serves as a Program Manager for a full-time protective detail operated by PFC Safeguards. His duties encompass overall responsibility for operational and personnel management, as well as technology integrations for the estate and family security of a high net-worth client. Additionally, Aaron is a member of the PSOC training cadre serving as an instructor for PFC’s nationally recognized and university accredited Protective Security Operations Certification training program.